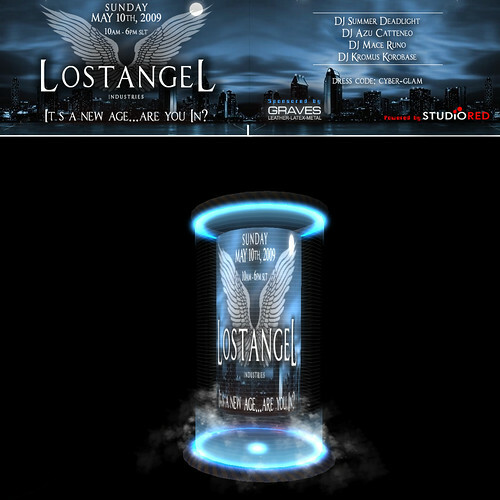 For those who still didn’t know all the new releases, a quick summary of what is new in LostAngeL Industries! This couple pose has a peculiarity: it’s “double face”. Both male and female are looking at the camera and with the eyes are saying ” he is mine” …”she is mine” …. That’s why i’ve added a mirror to catch both female and male gaze in the pic, and have the cool effect of the reflection. Mirror is texture-changing , colors are: gold, gold dark, silver. Male: Outfit – MUISM; Hair-Dare, NAUGHTY; Skin -Neo, DAMIANI. Female : Hair – Mica 2008, MAITREYA; Shoes – Bare Vivien, STILETTO MOODY; Skin – Elin, LAQROKI. Male : Underwear – AITUI; Skin – Neo, DAMIANI; Hair – DJ, LELUTKA. Female: Hair- Samara, LELUTKA; Outfit – Chloe, MIMIKRI; Shoes- Pump, JIMMI CHAU; Skin-Kat, LAQROKI. 1. Top Models Reunion : The Ultimate Fashion Group Pose! Credits: All the Models are wearing : skins from LAQROKI; Hair from LELUTKA ( except the last one , wearing Sara-ADEN); and outfits by MIMIKRI ( excpet the last one, wearing INTIMIZZIO undies); Shoes are from STILETTO MOODY and JIMMY CHAU. 2. Groovejet #2 – Part#2 of a popular group Pose of past season!This is hot! 3. Angels x 2 – The Girl/Girl attitude pose! Girl #1 : Hair- Micai, *DH*; Necklace – REDGRAVE; Top – [LA] Tank – LostAngel Apparels – [free gift in the Green Room]; Bikini – AMIDI; Bracelets- Black Sheep Bangles – FABULOUS, Skin – LAQROKI. Girl#2: Hair – Apple, MAITREYA; Top – MIMIKRI; Bracelets – Black Sheep Bangles – FABULOUS; Skin – SKYE, DAMIANI. The GIFT: Also in the Orange room there is a gift waiting for you! A big Poseframe with two poses included and texture changing frame! End of part #1, And the Best Has Yet to Come! … …. are you in? Sunday, May 10th. Powered by Studio Red. More information will be available as event date nears.